Home > Share Recommend > Porinju Veliyath’s Latest Stock Pick Is A Top-Quality Micro-Cap..! Porinju Veliyath’s Latest Stock Pick Is A Top-Quality Micro-Cap..! 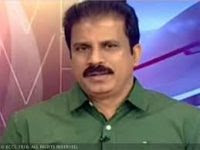 Porinju Veliyath has timed his purchase of a micro-cap stock perfectly. The micro-cap boasts of top-quality management and has commissioned an expansion plan which will lead to profits gushing in.